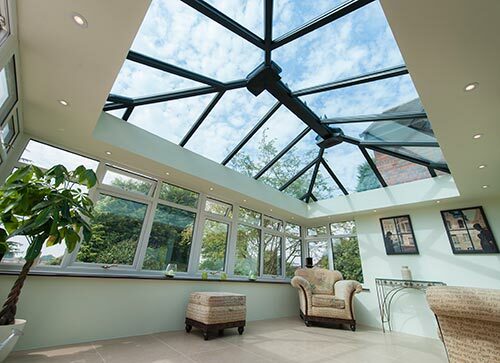 Planet conservatories can make a world of difference to your home in Cumbria or Lancashire. Bringing added space, aesthetics and security, a conservatory will massively transform your property and act as a very special new-found location. 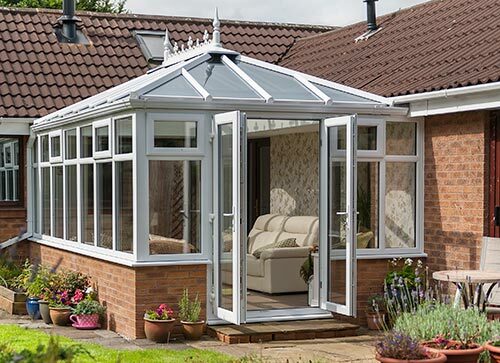 We can give your new conservatory the full works. As well as installation, Planet can take care of all electrical, plumbing and lighting - guaranteeing value for money. 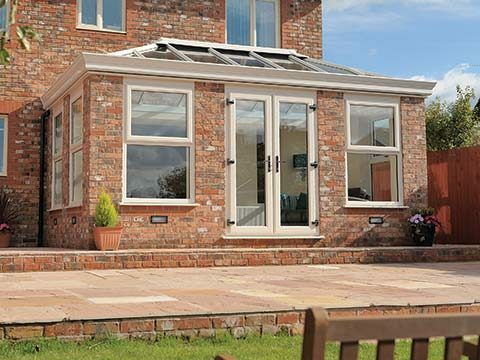 Whether you live in Cumbria or Lancashire, each of our conservatory designs will provide you with an all-year round better home living experience. Design - Think about the extension you would like then talk with us about your ideas. Bring some rough measurements or maybe a photograph of your property to one of our showrooms. We will draw up the plans on a computer, showing how it will look from every angle as part of our free design and quotation service. Planning Permission - Planetwill take care of any conservatory that comes subject to Planning Permission & Building Regulations by approaching the relevant local authority. It may be the case that all necessary criteria has already been met and the obtaining of planning permission is not necessary. 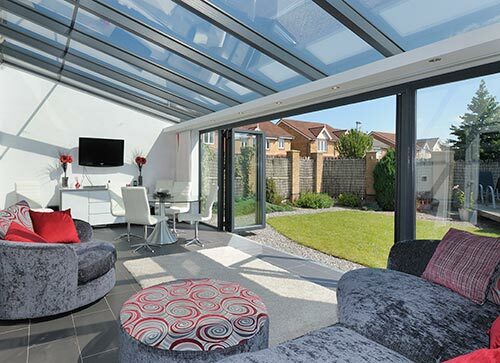 Build Process - Adding a conservatory or orangery is far less disruptive than a typical home extension. In fact, hundreds of letters from satisfied customers testify to how stress-free the experience. We even get compliments about how hardworking, polite and punctual our building and installation teams have been on site. For help & advice call 0800 61 222 55 today! 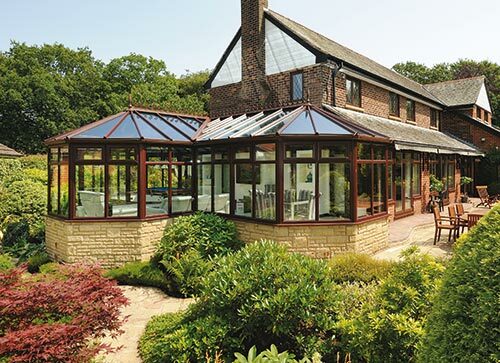 A considerable number of conservatories are crafted utilising UPVC due to its strength, durability and proven ability when it comes to supplying the structure with exceptional energy efficiency. As it’s completely weather-proof, it also means that it can retain its aesthetically pleasing exterior even when continuously battered by rain, sleet and snow. There’s no cleaning necessary to get a UPVC gleaming, you can put your house on that. Aluminium conservatories are fast on the rise which comes as no surprise as aluminium offers a toughness that few other materials can match. 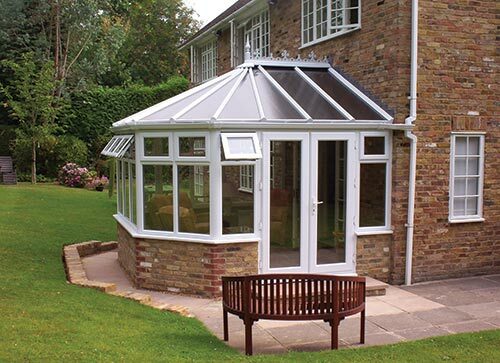 You need a conservatory to offer constant sturdiness from the immediate point of installation until years down the line and aluminium has the necessary ingredients to do just that. It also appeals because of the specially moulded sleek sightlines evident throughout the entire building. Timber-made home improvements have rapidly decreased in popularity since the advent of UPVC and aluminium, but there’s no doubting that timber is one of the most spectacular looking materials out there. However, to get it looking its best, a considerable amount of time and effort has to be injected into it in terms of upkeep. 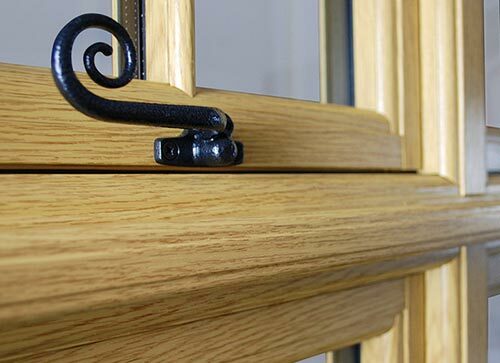 So what we’ve done is create a brand new range of wood-like windows and doors that need zero maintenance, yet share all the hallmarks of timber. Christened, the Heritage range, it even has the window sash sitting flush with the windows. It’s easy to become attached to your conservatory once you begin to get comfortable in its surroundings, but there will be occasions when the temptation to advance into the garden becomes too much. Incorporating a door into the design will give you’re the perfect pathway into the outside world. 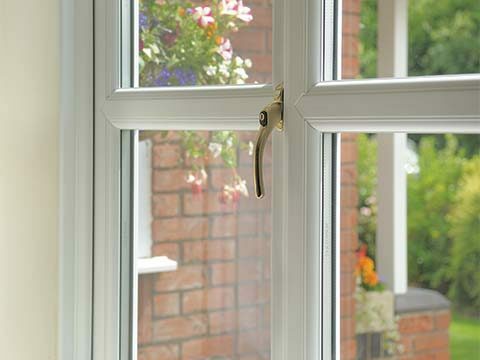 The doors fitted to your conservatory have an integral role to play in terms of connecting it to both the interior and exterior environment, and you may have your own preference in terms of its opening. We have options that fold, slide and swing that offer unparalleled functionality and security. Whether you choose a single door, French Doors, Patio Doors or our very latest Bi-Folding Doors you can be rest assured all our doors come with maximum security for total peace of mind. 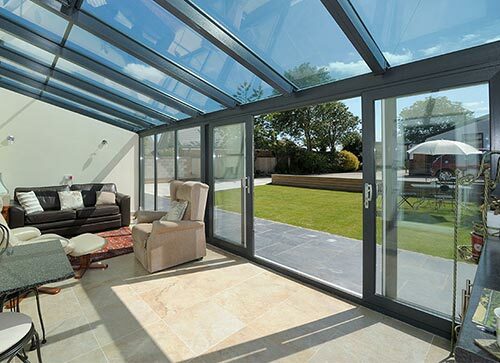 It won’t just be your conservatory that grabs all the attention when you have a set of B-Folding doors incorporated into it as these remarkable looking and high performing doors are guaranteed to prove a major highlight. The way they open and close with such sophistication will also give you further reason to fall head over heels for this unique door solution. 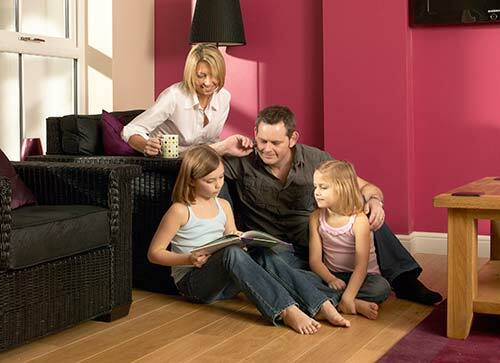 Expect them to become the central feature of your home extension. French Doors are flourishing in the UK and make for a perfect addition to any style of conservatory for those homeowners wanting to connect their extension to the garden or traditional living room. Because they offer a double opening, French Doors create a fantastically unrestrictive gateway, particularly as they open both inwardly and outwardly. 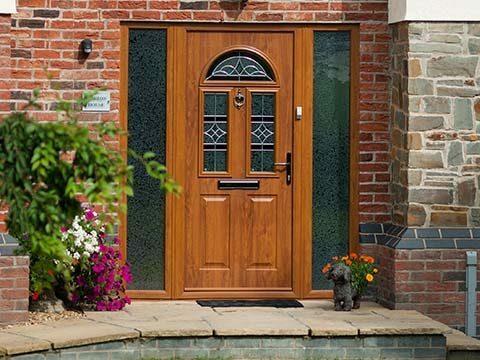 The frame and glass give them a classiness that you’ll find in few other door solutions. For many people, investing in a conservatory is all about adding spaciousness to the home and you can make your design feel seemingly larger by having a set of Patio Doors slotted into any available aperture within it. When left in the open position and located either in close proximity to your conventional living area or garden, the extension will feel as though it has a never-ending abundance of space. Light transference will be highly evident when they’re closed too. Whilst inside your conservatory it’s nice to see what’s going on around and above the structure so for a translucent view of the scene above your eye line choose a glass roof. As well as transparency, it will also nullify the noise of rain, sleet or hail hitting the roof so that you can enjoy the surrounds in tranquillity, whatever the weather. The last thing anybody wants to do is to have to clean the roof every few months so make sure you stipulate self-cleaning glass. 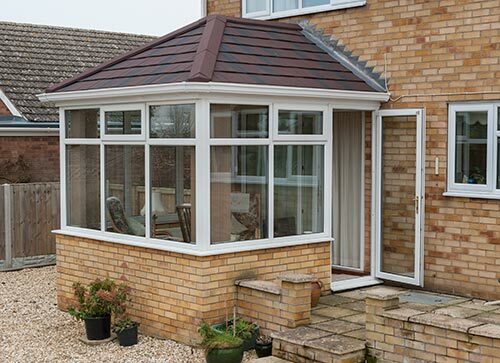 Restore your existing conservatory back to how it was or guarantee yourself a brand new conservatory that provides continually exceptional energy efficiency by choosing to have a solid roof fitted. It will also give you a degree or privacy so that prying eyes cannot spoil the enjoyment you derive from kicking back in such immense luxury. 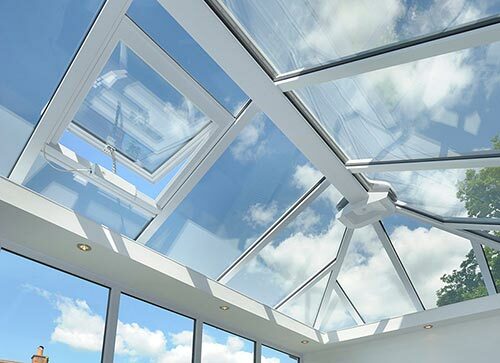 If the loss of natural light is a cause of concern then there’s no need to worry as you can always get it back by having roof windows and integrated spotlights included. 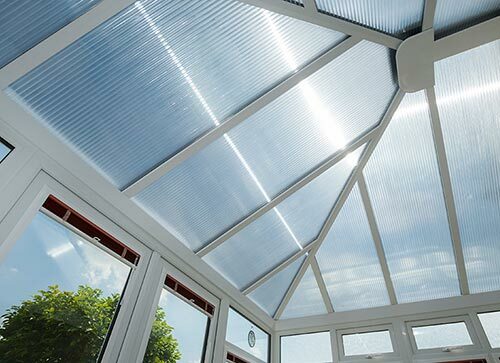 The polycarbonate roof is the most cost effective form of conservatory roof as it offers exceedingly good energy efficiency and acts to reduce heat loss from the structure. 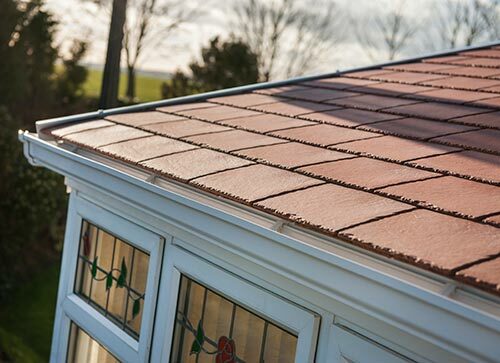 Available in 25mm or 35mm sheets, there will never come a time when the inside of your conservatory feels either too warm or too cold as a consistently comfortable temperature will be maintained. It comes in three forms; a bronze, clear or opal design. 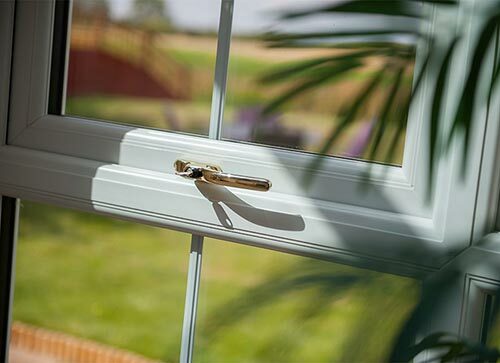 For a colour that’s certain never to go out of fashion you can’t go wrong with a traditional classic white UPVC window but it’s worth checking out all the other possibilities as a coloured window could be what sets your home apart from the rest. Finishes such as Grey, Irish Oak and Chartwell Green are just a small sample of what we have to offer in terms of colour. 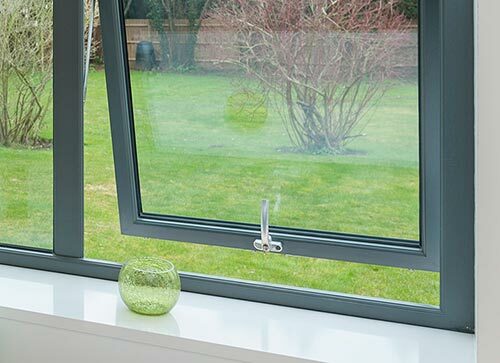 You really will be taken aback by how astonishingly good our coloured aluminium windows look. 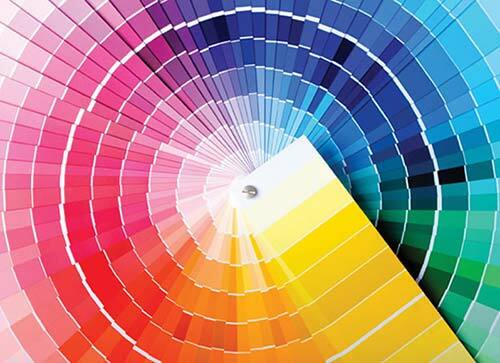 Well we can reveal that there’s a secret formula that gives it richness and lasting appeal as each colour undergoes an 11-stage powder-coating process before being applied to the aluminium frame. For those in love with the look of wood, check out our timber-effect finishes in Rosewood, Oak and Walnut, achieved via a process of sublimation. You can choose your own interior style for your conservatory – from underfloor heating, atmospheric lighting, modern door handles, tiling and wooden flooring. In the design stage, at Planet we will advise on electrical wiring for lighting, TVs and home entertainment centres, we will also offer advice on heating for all-year round comfort. Lighting is crucial both inside and out – it creates a warm and welcoming atmosphere. Our 10 Year Guarantee offers you complete value for money and reassurance your conservatory will last for many years. 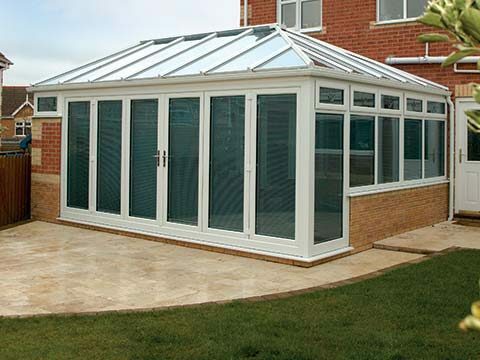 You should never even contemplate buying a conservatory if the provider fails to supply you with a quality guarantee. 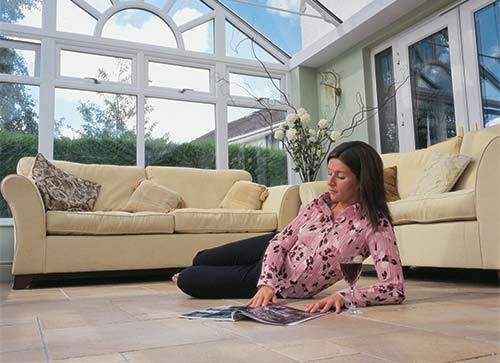 Every conservatory sold at Planet comes with an extensive guarantee which covers you for every eventuality. Within the guarantee you will notice that on occasion some small remedial adjustments may need to be made to further enhance your purchase. Whatever you want! Whatever you like! Let Planet take care of it for you – get in touch with us today. 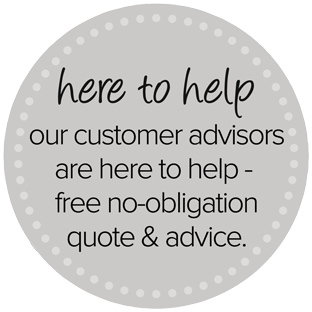 or call us today on 0800 61 222 55.
with new UPVC windows & doors. For further information on the fabulous range of conservatories available at Planet - simply request your free brochure online today!